At the end of November, Danica Patrick drove the #10 GoDaddy race car for the last time during the NASCAR Sprint Cup Series season finale at Homestead-Miami Speedway. 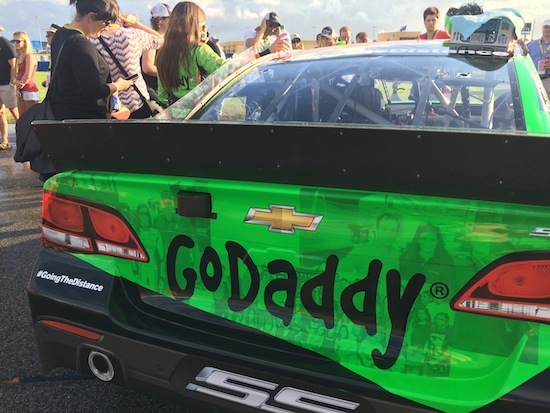 For the last race, the background of the GoDaddy race car was adorned with photos of Danica Patrick taken with GoDaddy customers and employees. 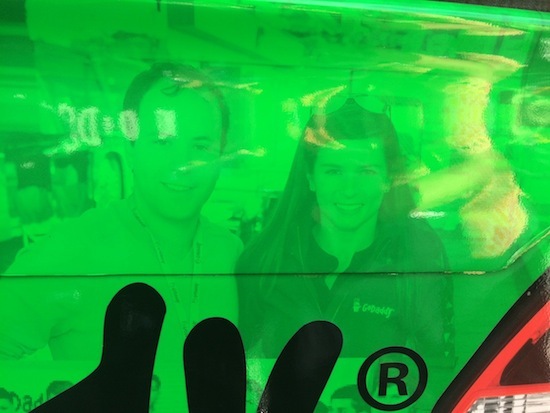 I just found out that a photo that was taken during my meet and greet with Danica Patrick was used on the back of the GoDaddy race car! I always wanted to attend a NASCAR race to see what makes them so popular (it was a blast), but I could never imagine that my face would be on the back of a NASCAR race car during a race! How do I buy that part of the car so I can mount it to my office wall?? Thats pretty cool. If you can just cut the back 1/4 of the car off, and mount it to the wall…. Note: CONGRATULATIONS… I envy you. I have the means for option #3 only. ha, pretty cool. i always wanted one of those godaddy leather jackets or the cool looking shirts with the collar. That truly SUPER COOL!!! You need to buy that car when they’re done racing it. Given the probability an unlimited number of image choices I’m getting a sort of “crush on you” vibe here. 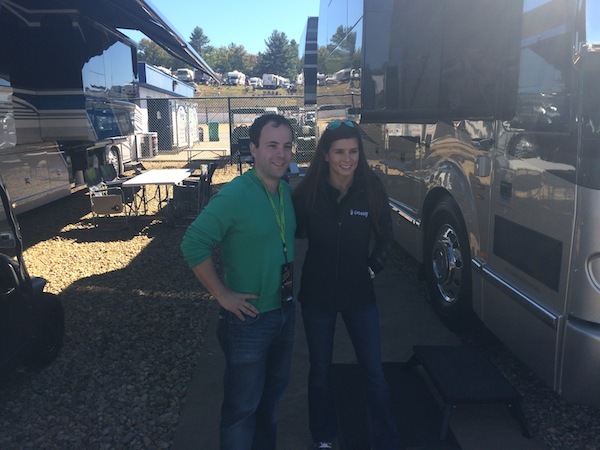 The question is “who” was crushing on you . . or who had the final cut rights on the image selection for Danica’s car . . . #justsayin . . not to worry Ms. Silver . . But . . wait . . before your head gets too big . . given the propensity for NASCAR drivers to bump bumpers during a race . . and also the psychological warfare of the track . . of all the faces to put “in the face” of the drivers behind her . . I have to ask: Was your face being . . weaponized? Very cool, Elliot. One for the memory book. I’m sorry to hear about this, Elliot. Was Danica driving the Godaddy car when it hit your face? All will be good. I can recommend a good plastic surgeon in Boca Raton, or a better one in RIO. I can send my uncle to console you with good counsel. My face has been on countless demolition derby cars.